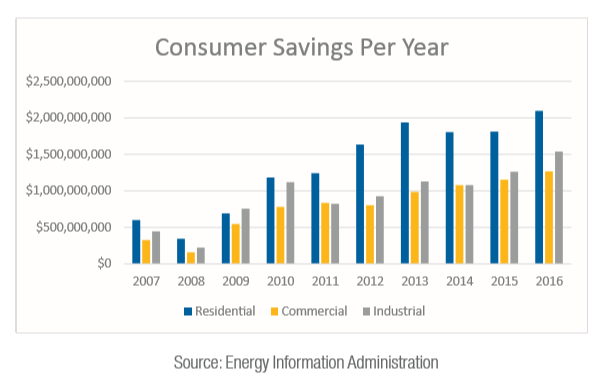 The report analyzed U.S. Energy Information Administration (EIA) data that showed the Pennsylvania residential customers have saved more than $13.3 billion during this time period, while the combined savings for the commercial and industrial sectors was more than $17.2 billion. That’s a roughly 64 percent decrease in the cost of natural gas since the shale revolution began in earnest in the state. Those cost reductions impact a large population of the state. According to the EIA, about 51 percent of Pennsylvanians rely on natural gas. Additionally, nearly one-third of Pennsylvania’s electricity generation in May 2018 was natural gas-fired – with about 22 percent of the population currently heating their homes with electricity – while billions of dollars have been invested in building more natural gas-fired power plants in the coming years. CEA released a similar report in August demonstrating Ohio’s natural gas consumers have saved more than $40 billion during this same time period, thanks to the abundance of natural gas being produced in the Appalachian Basin. 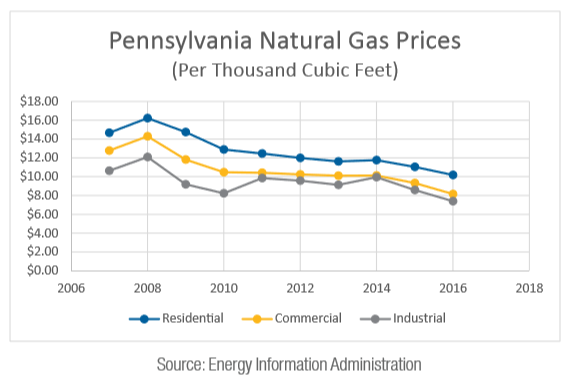 And these CEA reports echo the 2017 University of Pennsylvania study that credited the abundance of Marcellus Shale natural gas for a 40 percent reduction in Pennsylvania natural gas bills over the last decade. And as CEA explained, this hasn’t been the only benefit that natural gas has provided. The report described the nearly 322,600 jobs that provide almost $23 billion in wages to Pennsylvanians, and the nearly $44.5 billion in economic impact that the shale industry has had. Not to mention the incredible investments that are being made for pipelines and downstream facilities like the Shell cracker plant. This CEA report is just one more example of the tremendous benefits Pennsylvania has experienced thanks to its abundance of shale gas.